Before school started, I shared how I was taming my paper clutter for all the papers the kids bring home from school. We used this IKEA Allamala Wall Organizer (no longer available, unfortunately). 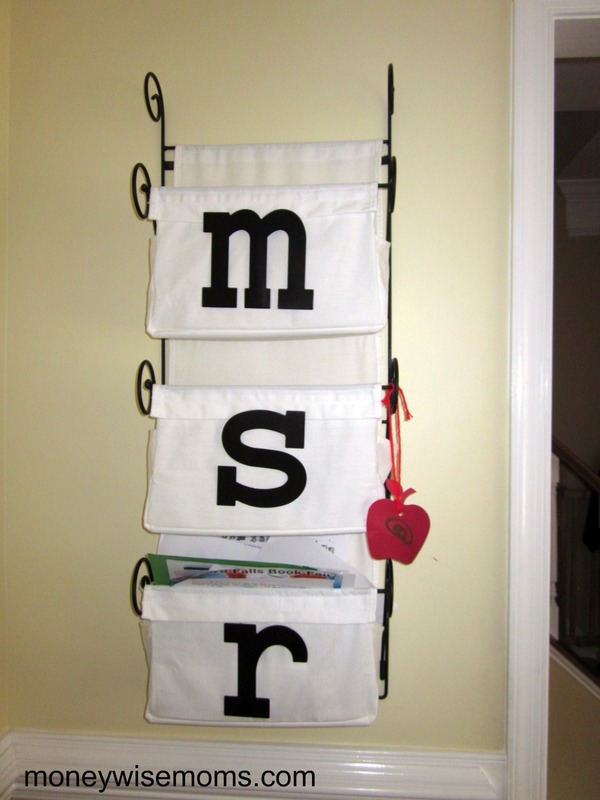 The same system works with a basket, standing magazine files, or letter trays. It’s not important what the organizer is, but if you can set up a system that works for you, you’re more likely to use it and keep it going. Simply dumping the paper in is what works for me! But then what? Today is the last day of October, and those bins were pretty full. I sat down with each child and we reviewed all the work they’d brought home the past two months. We made two piles: Keep (items that were special or showed writing and art ability) and Recycle (worksheets, etc.). Since they are part of the decision-making process, they’re learning how to determine what’s important, and they’re seeing that we can’t keep it all. We’re saving the “Keep” work in a box in their bedroom closet, and now the bins are empty* to collect the next two months’ of work. *Except for my son’s bin, which we hadn’t done when I took the photo. This same dump-it-now and sort-it-later system can work in other parts of the house as well. 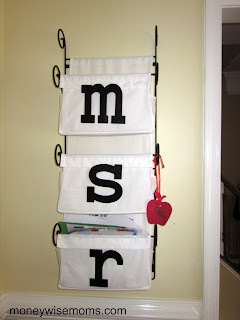 Think about how you organize your mail as it enters the house. Do you have a “dumping ground” on the kitchen counter? This can be revamped into a system that works for you by using a pretty bowl or basket as the catchall, then emptying the bowl at the same time daily or once a week. I can sort the kids’ papers with them once every two months, even put it on the calendar if I need to be reminded. With my daily clutter pile on the kitchen counter, I tie it into dinnertime. I need to put each paper away in its proper place before getting dinner on the table. How do you stay on top of paper clutter?